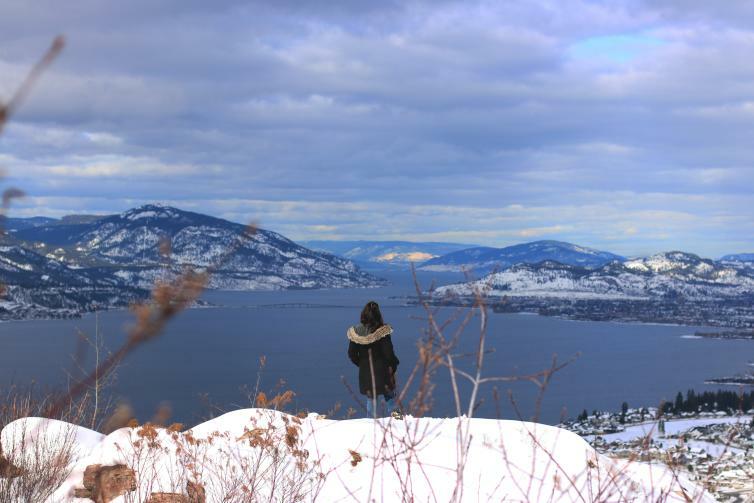 Cedar Mountain Regional Park is a great trail system with impressive views of Kelowna and Okanagan Lake. The road up to the trailhead is steep, so if it’s snowy, I often park at the bottom and walk up - the view is well worth the extra steps. 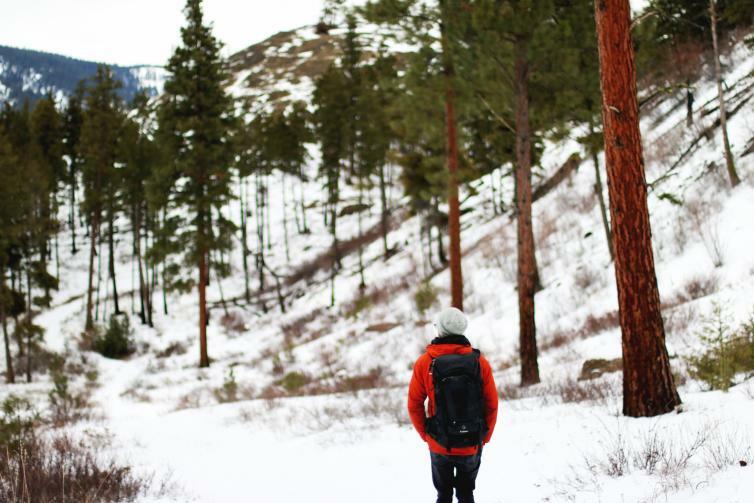 The trails are well marked and on a clear day, you’ll be rewarded with Instagram worthy views. 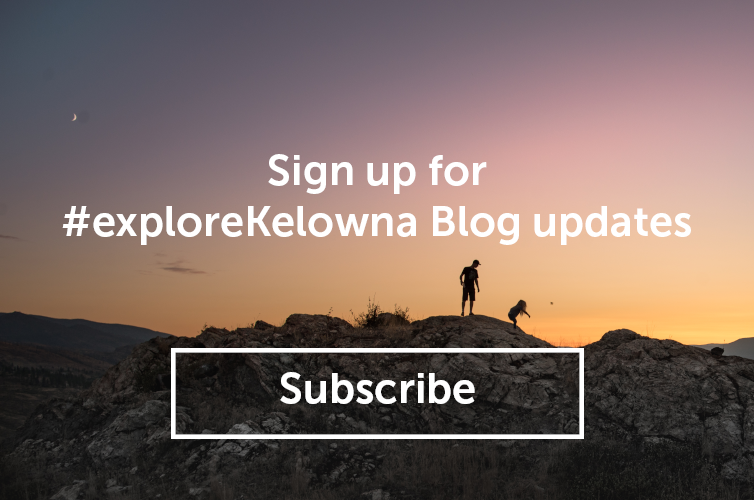 An added bonus of this trail system is its proximity to some of Kelowna’s most popular wineries. Stop by Summerhill Pyramid Winery, Cedar Creek Estate Winery, St. Hubertus & Oak Bay Estate Winery for a celebratory tasting after your adventure (you deserve it). 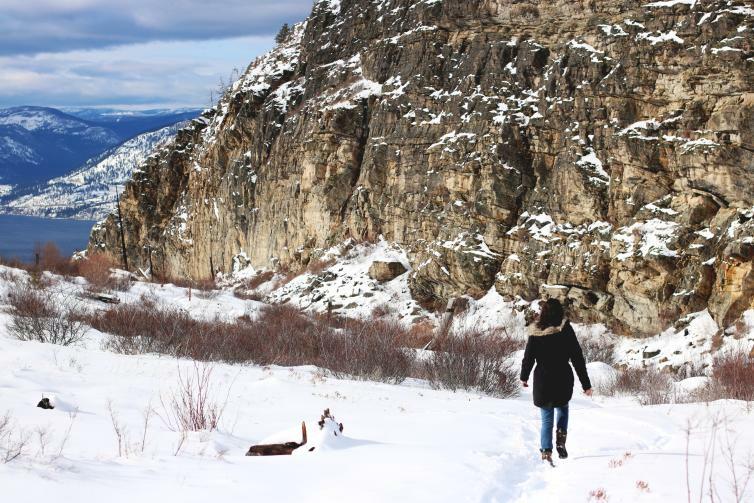 Rose Valley Regional Park in West Kelowna is home to an extensive network of trails. Although the trail system is close to Kelowna, it&apos;s tucked behind the hills making it feel natural and secluded. 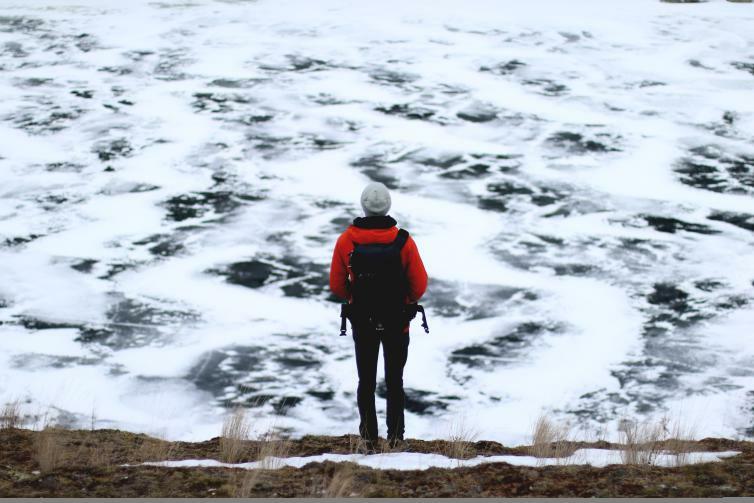 My favourite trail in the network is the walk down to the Rose Valley Lake which is usually frozen in the winter and makes it the perfect spot to relax for a while (remember to bring some hot chocolate). 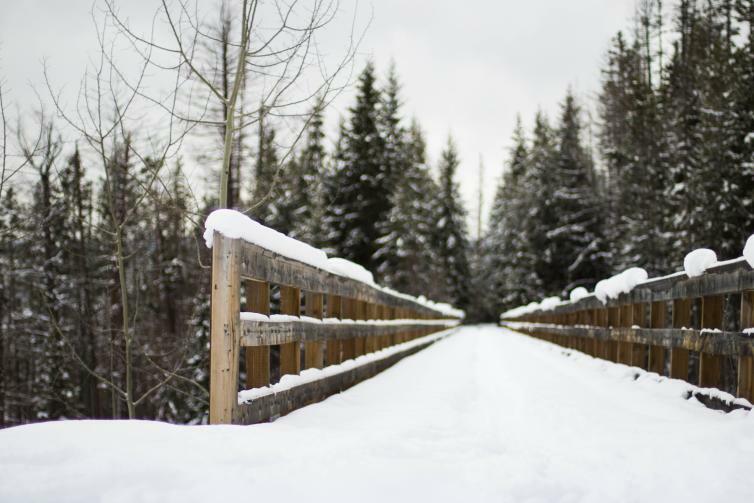 The Kettle Valley Railway (KVR) is an iconic trail system and one of my favourite places to walk, bike, or snowshoe. 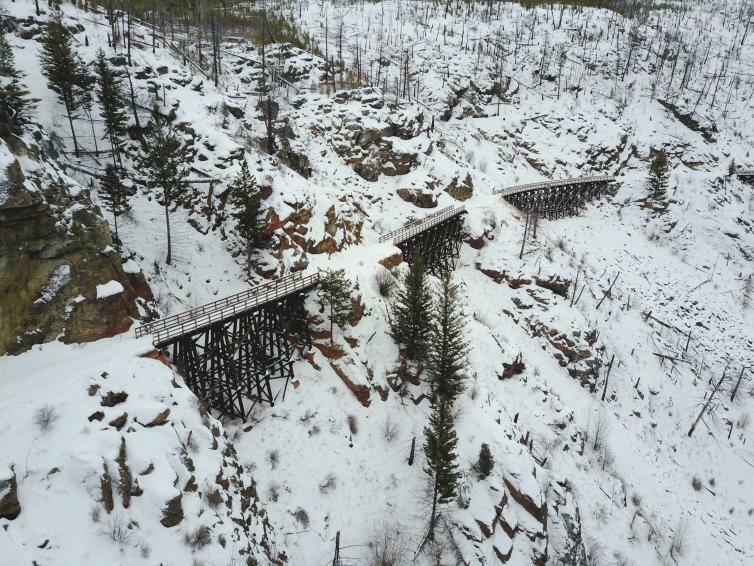 The Myra Canyon portion of the trail is one of the most scenic sections, and is in close proximity to Kelowna. This section of the trail is home to 18 impressive trestles, 2 tunnels, abundant wildlife, and incredible vistas. 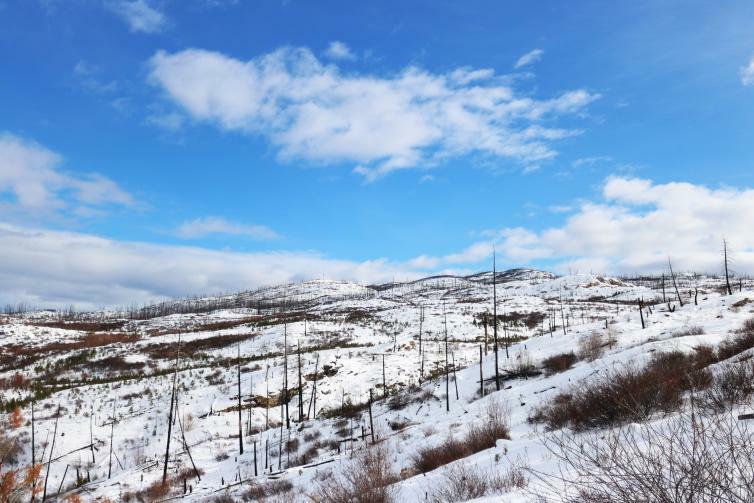 This trail makes for a beautiful and easy winter hike as there are no steep elevation changes. 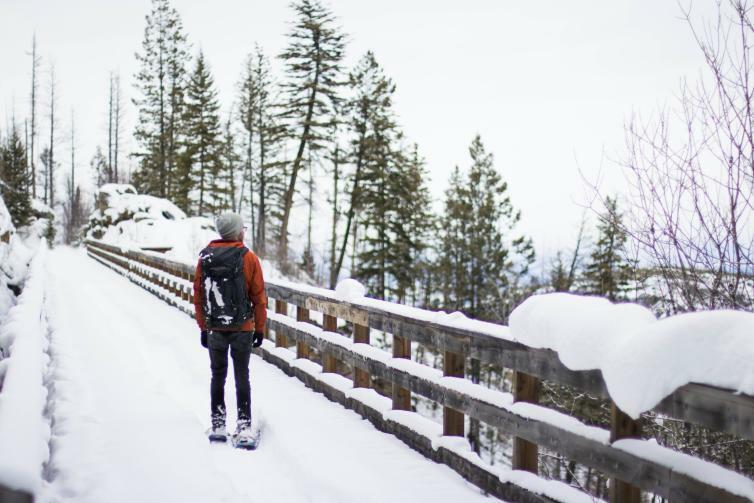 Though you can enter from either end, I would recommend bringing your snowshoes (or renting some in Kelowna) and start at Myra Canyon Station off of Myra Canyon Service Road and walk in the direction of Ruth Station which is off June Springs Road. It&apos;s approximately 1 KM to the first trestle. 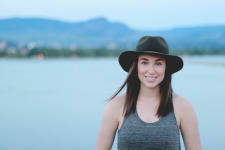 Bear Creek Provincial Park is known for it’s gorgeous lakeside campground and the park&apos;s proximity to downtown Kelowna. 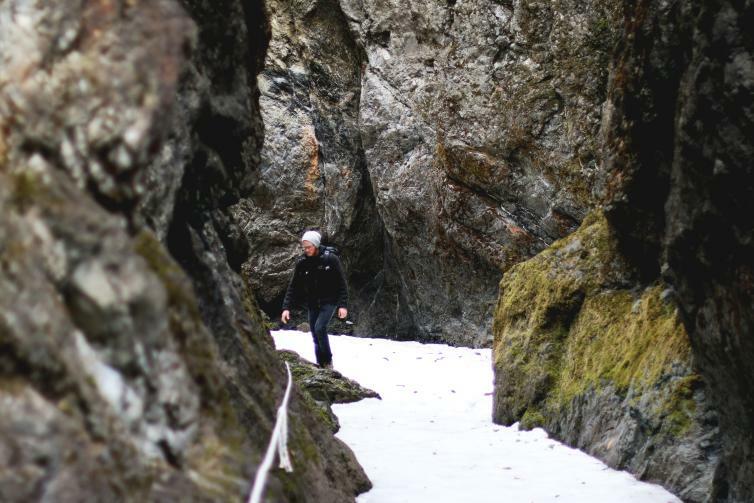 In the winter the provincial campsite is closed, but the hiking trails are as stunning covered in snow as they are in the warmer months. 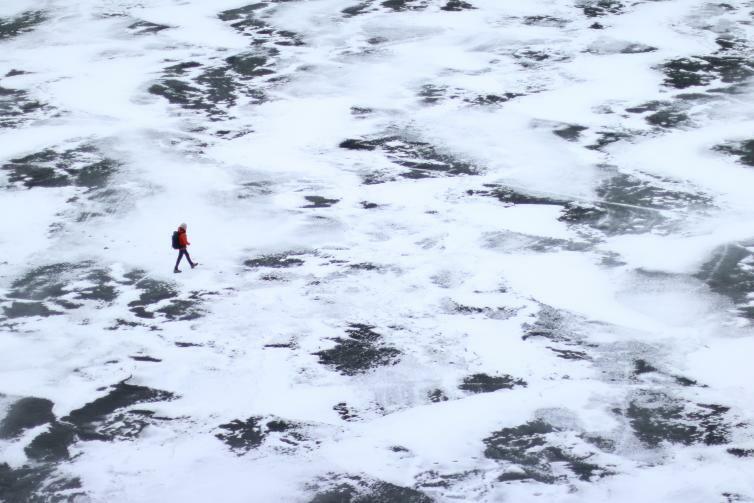 If there&apos;s been a stretch of cold weather you can actually walk right up the creek bed until you reach the frozen waterfalls. A treat you can only experience in winter. 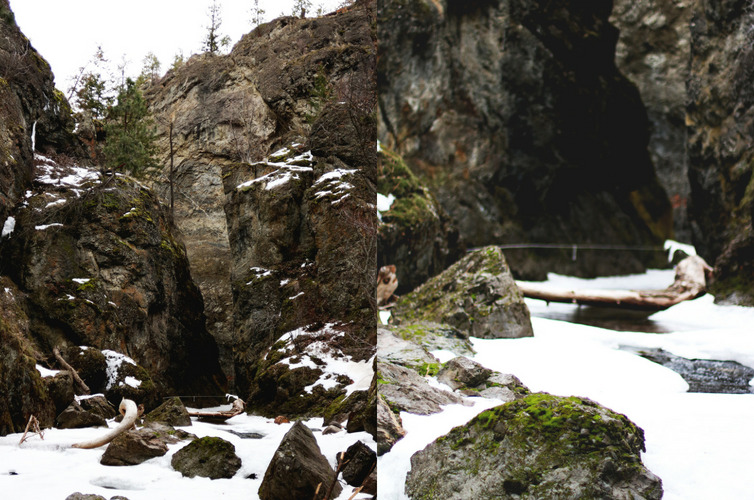 On a milder winter day you can walk the Canyon Rim Trail and catch some cool vantage points of the falls below. The trail has some steep sections with stairs, and there are three loop options of varying lengths for you to choose from.